Sometimes games see a surprise release on Switch without a mention in the official weekly Nintendo Download report. 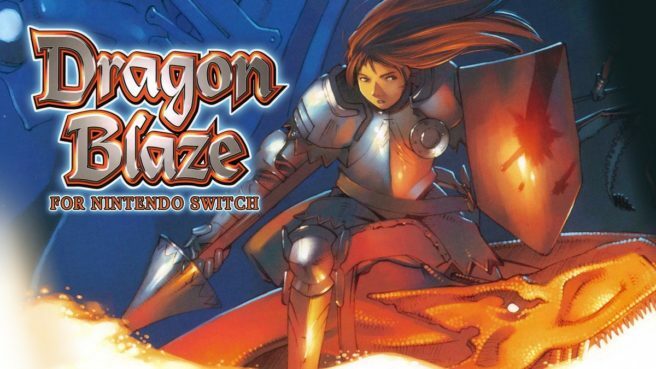 That happened once again this week, as Dragon Blaze landed on the North American eShop without any prior announcement. It was made available in Japan one day prior, so this isn’t too surprising. Earth, Water, Fire, Wind, Moon and Sun. These four magic stones and the gods of moon and sun brought prosperity in Megalith. Because of that, the people lived a peaceful and prosperous life. However, their peaceful life ended when Nebiros and his armies appeared. Long time ago, during the war of the gods when the world was created, Nebiros was defeated by the gods of the sun and moon. He was locked up by the 4 magic stones but was freed by summoning a country which aims to achieve victory in the war using him. Nebirus, as a revenge, controlled the mind of the god of the moon using his dark power. The god of the universe transformed people’s form and spirit into hideous ones and made them as his armies. And the entire Megalith fell into the abyss of destruction and chaos. Nebirus’ army has started to move towards the god of the sun. The god of the sun, who was threatened by Nebirus’ move, entrusted the weapons of the gods to 4 dragon knights and ordered them to overthrow Nebirus. Dragon Blaze can be purchased for $7.99.